Space suits often appear as highly technical and perfected pieces of wearable technology. Yet when astronauts perform extravehicular activities outside of the International Space Station, the procedures they must work through are either written on laminated cards attached to their wrists, or are delivered via headset from someone on the International Space Station or ground control. However, a team of students at Boise State University are working to change that. Through the NASA S.U.I.T.S. 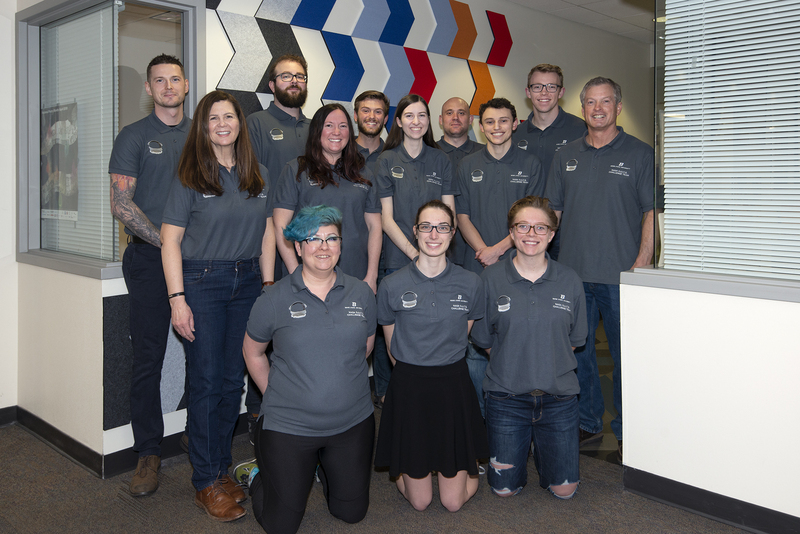 (Spacesuit User Interface Technologies for Students) Design Challenge, Boise State’s team will have the opportunity to test their software for an augmented reality helmet-based display for astronauts April 15-19 at the Johnson Space Center in Houston. The team’s software is called ARSIS – short for Augmented Reality Space Informatics System – and utilizes the Microsoft Hololens. ARSIS would provide astronauts with greater autonomy and efficiency by letting them use voice command to work through their procedures. The software would enable ground control to send new procedures during an extravehicular activity, and provide displays of images, 3D paths and instructions on how to safely navigate outside the International Space Station. The team is even working to implement camera tracking in order to capture the 3D space and textures for virtual reality simulations at the ground station. “People [at ground station] will be able to actually stand where the astronaut is standing, see spatially the issues that the astronaut is seeing and have their engineers look at it,” said team lead Liz Altmiller, a senior majoring in gaming, interactive media and mobile technology. ARSIS also has a voice recognition system named Adele, in recognition of the pioneering computer programmer, Adele Goldstein. However the team couldn’t resist adding a little tongue-in-cheek humor to their specialized software. “We actually put in that song Skyfall by Adele, which automatically plays when a warning goes off,” joked Altmiller. For Altmiller, guiding the team’s creation of a software designed to be used in a completely foreign environment is challenging. However, she considers herself lucky to be on a dedicated team with a diverse set of skills ranging from outreach and coding to user-interface and experience design, and to have guidance from Distinguished University Educator and retired NASA astronaut, Steve Swanson. “Having a heads-up display like the one the SUITS students are developing would have been a huge help while performing a spacewalk,” Swanson said. The team also is mentored by Karen Doty, clinical assistant professor in the College of Innovation and Design, and Megan Gambs, project manager in the Institute for STEM and Diversity Initiatives. Role: developer and designer, performing outreach. Stay tuned to Boise State’s instagram account for a live takeover by the team during test week.